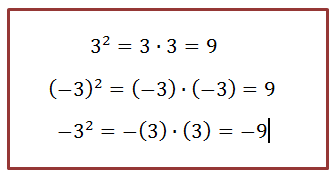 All powers with exponent of 2 are called "squared." 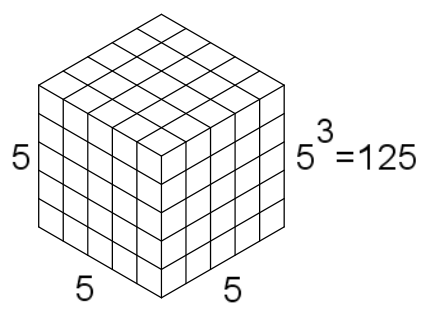 This is because a power with an exponent of 2 can be represented graphically with a square whose area represents the STANDARD FORM of a power. 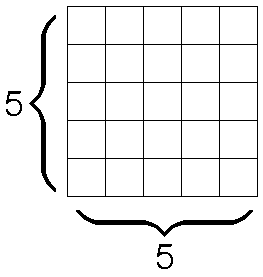 The square above represents a power with base 5 and exponent 2. When the power has a negative base AND an EVEN exponent ----------> STANDARD FORM is ALWAYS POSITIVE. When the power has a negative base AND an ODD exponent --------> STANDARD FORM is ALWAYS NEGATIVE.